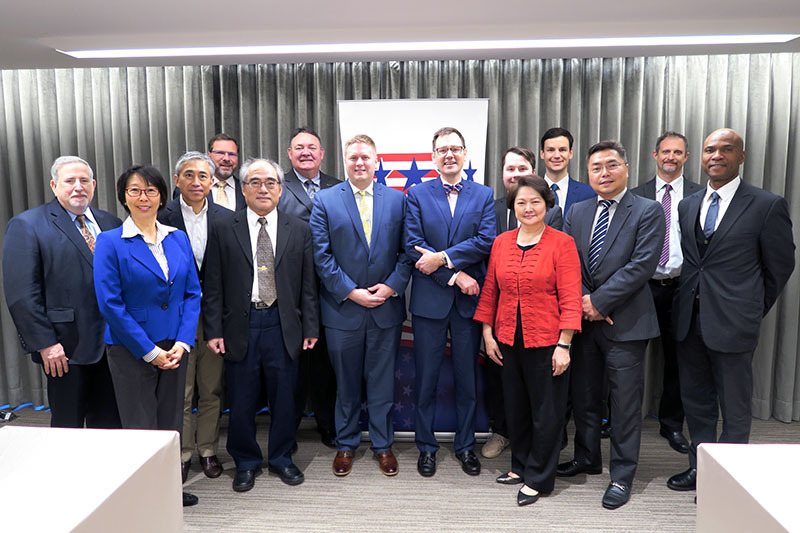 Ian Paul Steff, Deputy Assistant Secretary for Manufacturing in U.S. Commerce Department’s International Trade Administration, exchanged views with AmCham Taipei representatives during an hour-long meeting in the Chamber’s Lincoln Room on March 22 as part of his six-day visit to Taiwan. 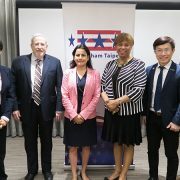 Steff was joined by two colleagues: International Trade Specialist Kyle Johnson and Devin A. Horne, Civil Nuclear Trade Specialist. 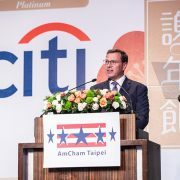 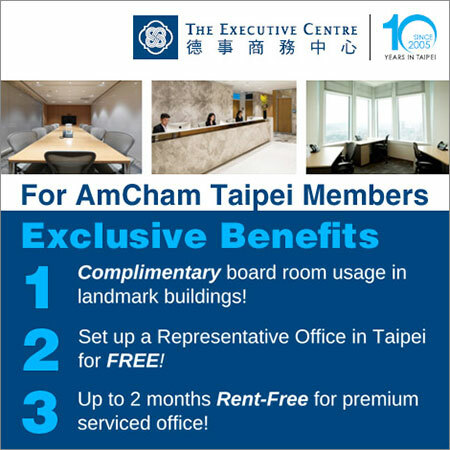 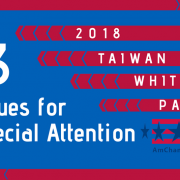 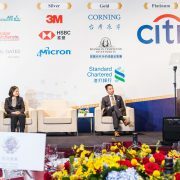 The AmCham attendees included President William Foreman, Standing Vice Chairman Leo Seewald, Vice Chairman Vincent Shih, Governor Edward Shober, President Wayne Chin and Vice President Richard T.C. 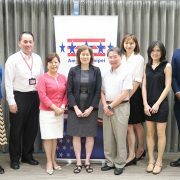 Chen of Pacific Engineers & Constructors, Senior Director Don Shapiro, and Senior Director for Government and Public Affairs Amy Chang. 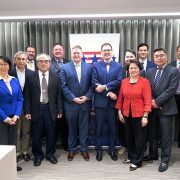 Ireas Cook, chief of the Commercial Section at the American Institute in Taiwan, and Mark Lewis, the deputy chief, also attended. 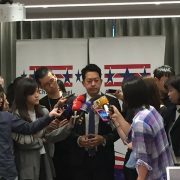 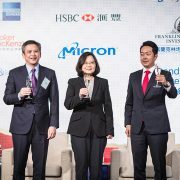 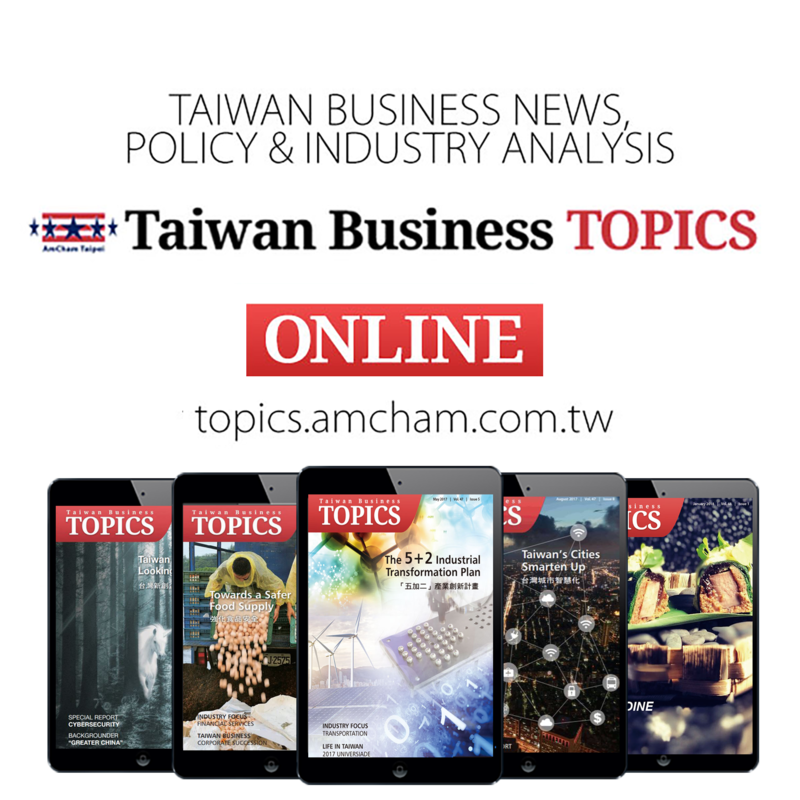 Steff said the U.S. government sees many economic opportunities in Taiwan because of the numerous mutual interests, including such sectors as biotech, energy, and the Internet of Things.